Investors on Monday cheered the lifting of a U.S. supplier ban on China’s ZTE Corp, pushing its shares up 17 per cent, though analysts cautioned the telecommunications equipment maker still faced many challenges as it works to revive its business. The U.S. Commerce Department on Friday lifted a crippling ban on American firms selling parts to ZTE - imposed in relation to a U.S. sanctions case - after the Chinese company deposited $400 million in escrow as part of a settlement reached last month. The settlement also included a $1 billion penalty paid to the U.S. Treasury in June. “It’s a long way back for ZTE. Not just to win back customer confidence and assure them, but also work hard to find substitutes to U.S. suppliers such as Avnet, Qualcomm, Broadcom etc (to reduce reliance),” said Nikhil Batra, senior research manager at consultancy IDC. ZTE’s Hong Kong-listed stock opened up 5.5 per cent on Monday, rising over 17 per cent to HK$16.12 by noon. That was still 37 per cent lower than its last price in April when trading of the stock was suspended for two months following the ban. ZTE’s Shenzhen shares jumped by their 10 per cent daily limit early on Monday, as investors brushed off ZTE’s forecast on Friday a net loss of up to 9 billion yuan ($1.35 billion) for the first half of 2018 due to the fine. Jefferies analyst Edison Lee estimated ZTE had an operating loss of up to 4 billion yuan for April-June due to suspending business when the ban was imposed. Lee said he expected ZTE to go to each of its non-Chinese telecommunications customers “and offer incentives of varying degrees to compensate for their hardship and reward their patience and loyalty”. People familiar with the matter told Reuters that ZTE started reaching out to clients over the weekend with a letter promising to ramp up operations as quickly as possible. Many U.S. lawmakers see ZTE as a national security threat and, on Thursday, a group of Republican and Democratic U.S. senators urged ZTE’s penalties be reinstated. The U.S. Senate paved the way for a showdown with U.S. President Donald Trump over the issue last month when it passed an annual defence policy bill with an amendment that could reverse ZTE’s settlement. The fate of the amendment remains unclear as the Senate and House have yet to reconcile their different versions. There is bipartisan support for the measure among members of Congress, but Republicans control both the Senate and House and party leaders rarely break from Trump’s policies. “The political nature of the issue and the fact that members of the U.S. Senate are not on board this decision makes it very tricky. Anything could happen,” said Batra. Others agreed the prospect of ZTE continuing as before was unlikely. The ban had been a source of friction between the U.S. and Chinese governments at a time of escalating trade tension. 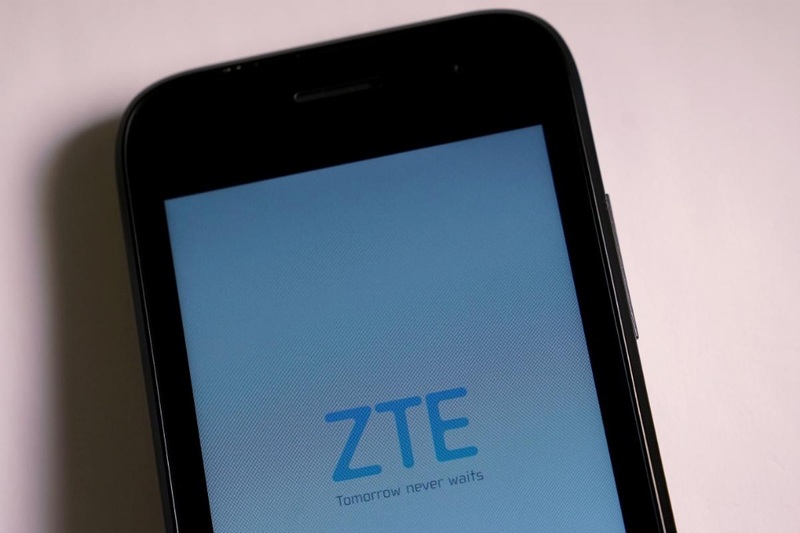 The ban was imposed in April after Commerce Department officials said ZTE made false statements about disciplining 35 employees after it pleaded guilty last year to violating U.S. sanctions by illegally shipping U.S. goods and technology to Iran. Uncertainty over the ban battered ZTE shares, wiping nearly $11 billion from the company’s market valuation. As part of the deal to lift the ban, ZTE agreed to remove all members of its leadership at or above senior vice president level, along with any executives associated with the wrongdoing within 30 days.